The 8 month daily stock chart is updated intraday. Labels TgT1, TgT2, TgS1, TgS2 BKO, BKD, 50ma, 100ma to show stock target, breakout and simple moving average values. 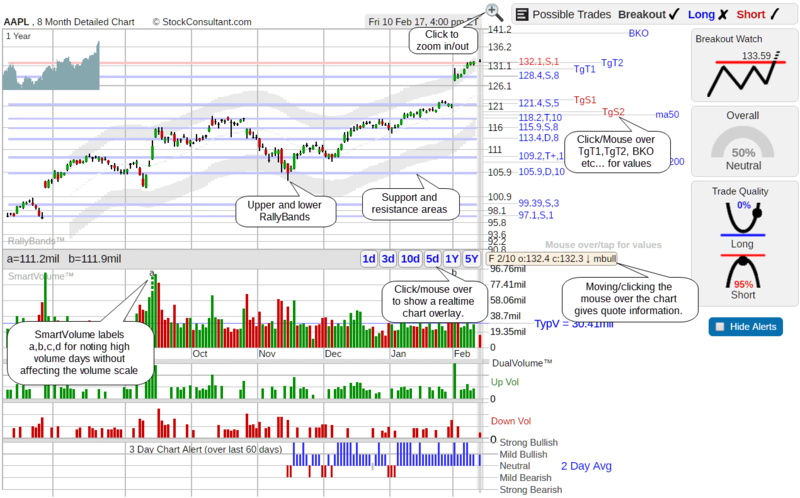 Chart for stock quote information. Overlay chart buttons to show an intraday realtime chart. SmartVolume removes stock volume peaks (adding a letter and value to each peak) making it easier to read. RallyBands plotted on the chart to note typical and extreme rally and pullback areas. Support (blue) and resistance (red) lines. A support or resistance line is labeled grey. 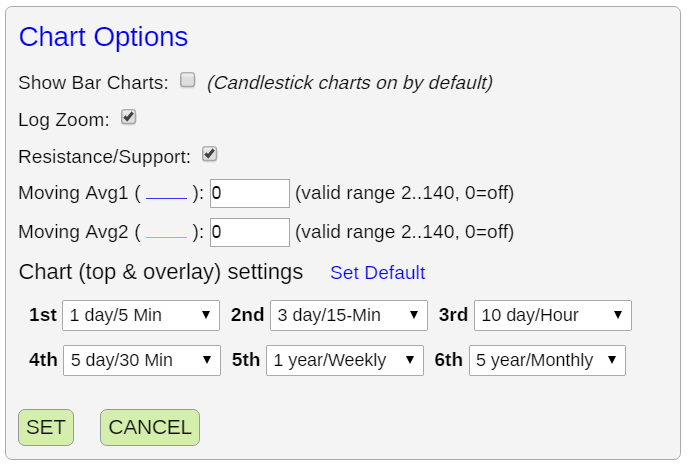 Select time frames for the top and overlay intraday charts.